The Sony Xperia SL is rumored to be a re-vamped version of the company's earlier 2012 flagship, the Xperia S. It's very similar to its predecessor, with a more-or-less identical chassis design, but its CPU speed has apparently been boosted to 1.7GHz, and it comes in a couple of new colors, including silver, as seen for the first time today in a set of leaked photos. 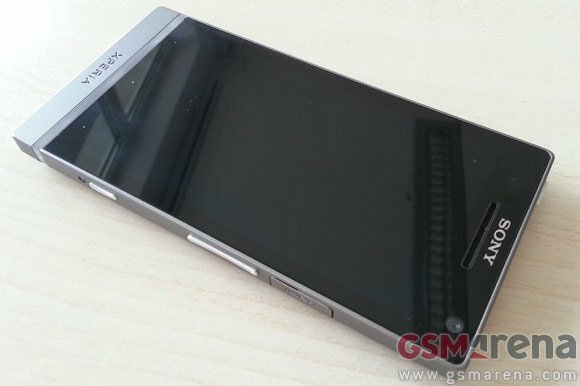 The image above comes from ​GSMArena​, which was tipped with a collection of photos of the unannounced Sony phone. From the outside, it's almost indistinguishable from the Xperia S, except that that phone only comes in black and white. Aside from the bump in CPU speed, the Xperia SL also sports Android 4.0.4 out of the box, a much-needed improvement upon the Gingerbread-based firmware still used by many Sony phones. We're expecting to see Sony take the wraps off the Xperia SL at the IFA show in Berlin later this month, where it's expected to appear alongside the Xperia J, the international Xperia GX and the Xperia Tablet. Keep watching AC in the weeks ahead for more on all three as the announcement nears.